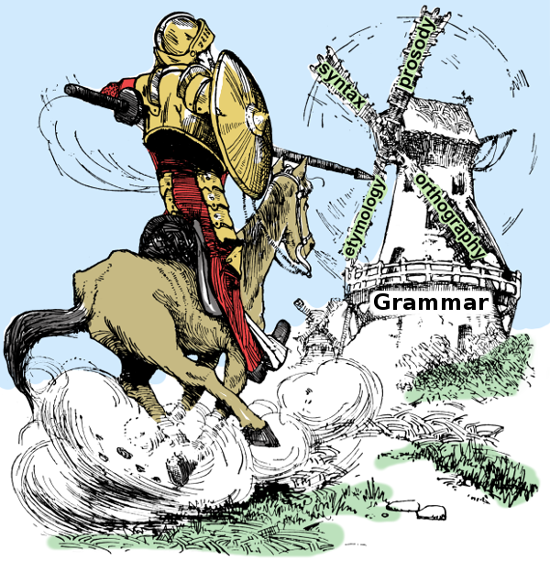 Grammar is not the enemy. Familiarize yourself with the basics, and you'll find grammar actually makes a good friend. b. Teaches what usages of language are correct. 2. It is divided into four parts: orthography, etymology, syntax, and prosody. deals with the letters and spelling of words. deals with the origins of words. deals with the construction of sentences. deals with the construction of stanzas.